StoryLine mobilizes area youth, artist/mentors and thinkers on journeys of co-discovery of community issues. 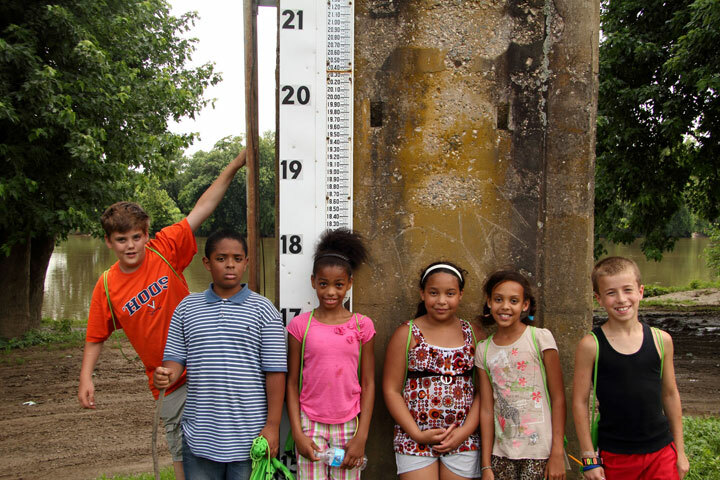 Through studio sessions, site visits and directed critical inquiry, the kids explore local topics such as neighborhood, change, water use and transportation; examine them with fresh eyes and offer alternative futures. Along the way, they forge new connections to the community and learn to be active, empowered citizens. StoryLine artist/volunteers travel with the youth and and assist their explorations by encouraging deep observation, challenging them to go further and helping them to voice their impressions in a variety of forms including (but not limited to) drawing, painting, photography, poetry, rapping, storytelling, roleplaying and public speaking. Although the primary focus of StoryLine is squarely on the kids and developing their voice, it is also a very good way to raise public awareness about important local issues. It is unusual for youth to be given a public forum on important issues; even more so for them to answer in a rigorous, aesthetically compelling way. Their efforts attract attention from public and the media, which reinforces the program’s message of empowerment. It is also an enriching professional development opportunity for community-minded artists and other associated adults. StoryLine began in 2009 as a collaboration between Charlottesville Parks and Recreation, Piedmont Council for the Arts, the Bridge Progressive Arts Initiative, Siteworks Studio, the Thomas Jefferson Center for the Protection of Free Expression and a host of creative volunteers. 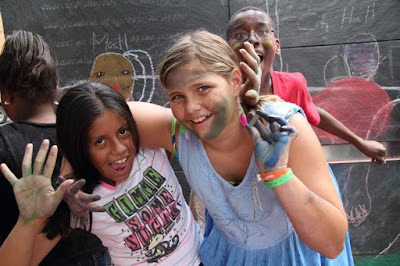 Over the course of five summers, twenty to thirty 4th-6th graders from the city’s summer camp program took a series of walks in the community and responded to their observations by decorating a bus (first year) and making a chalk mural on the city’s Free Expression wall (subsequent years). Topics included neighborhood change, urban renewal, aquatic pathways, neighborhood people and transportation. The programs were highly successful with positive response from everyone involved, especially the kids and co-creators. It was organized by a loose coalition of its founding organizations, without a central owner. Thus, as staff transitioned and the volunteer organizers lost energy there was no compelling force to keep it moving and in spite of demand from the children and the community, Storyline ended in 2013.